Cosmetic surgery is always evolving to accommodate changing beauty trends and demands from the latest generation of customers. A combination of medical advancements and growing social acceptance of cosmetic treatments has resulted in more non-invasive treatments, which are ideal for those who would rather not go under the knife. Non-invasive cosmetic procedures causes minimal discomfort compared to invasive surgical procedures, such as body contouring and breast augmentations among others, and they typically have little to no recovery time. This allows patients to get back to everyday life almost immediately. The health risks of non-invasive treatments are also much lower than those posed by surgery (such as an infection, a potential reaction to anesthetic, and scarring), and they often have minimal side effects. Perhaps the most attractive aspect to most people is that, individually, non-invasive treatments have a much lower price tag since they don’t require the expense of anesthetic or additional surgical fees. According to the American Society of Plastic Surgeons (ASPS), nearly all invasive surgical procedures in the US cost well over $3,000. However, it is possible to enjoy non-invasive treatments at a fraction of that cost, even for $500 or less, which makes them increasingly popular options. This type of bacterial toxin, used to treat wrinkles, is easily the most well-known non-invasive procedure today. According to the ASPS, over 7 million people got Botox® treatments in 2017, an 819% increase since 2000. The toxin has the ability to inhibit signals between nerves and muscles, which means it is highly effective in reducing the appearance of fine lines and wrinkles caused by natural muscle contractions under the skin. The most common brands of botulinum toxin are Botox®, Dysport® and Xeomin® and all are available as injections. These injections are incredibly popular for clients wishing to fight the signs of aging. By relaxing the facial muscles, Botox® and other forms for botulinum toxin help create a smooth and youthful visage by reducing the appearance of wrinkles, frown lines and crow’s feet. According to the ASPS, one session of botulinum toxin injections in the US costs an average of $385. The actual price varies, depending on the amount of treatment need, your provider, and which area you’re hoping to tackle. The entire procedure usually takes as little as 15-20 minutes (so quick you can do it in your lunch hour! ), and there are few risks involved. The treatment takes effect after about a week and there is little to no recovery time, except for possible tenderness and redness to the injected area. Another popular non-invasive procedure that has enjoyed a surge of popularity in recent years is the chemical peel. The procedure involves the application of a chemical solution designed to strip away layers of dead skin cells, leaving skin refreshed, smooth, and with reduced signs of aging. Generally, a chemical peel is performed on facial skin, however, it can also be used on other areas, including the neck, décolletage and hands. Chemical peels can also be used to treat skin that is scarred by acne or suffering from sun damage and it can help tighten loose or sagging skin. There are three levels of chemical peel, light, medium and deep and which one you choose depends on the extent of treatment you desire. A light chemical peel has the effect of a deep cleanse, a medium peel will see layers of dead skin peel away over the following few days, and a deep peel is used with a local anesthetic, before a chemical called phenol is brushed over the skin and sealed in with an ointment. The latter is generally used for issues such as acne scarring or for those who want a one-off treatment with lasting effects. A light peel will have minimal signs of redness and swelling; a deep peel may take up to three months to fully heal. Chemical peels are considered one of the most cost-effective forms of cosmetic treatment on the market. The overall price usually includes the cost of the procedure itself, the anesthetic (if applicable), plus any prescriptions needed following the treatment. According to the ASPS, the average cost of a chemical peel is $698, but this number accounts for all levels of peel from light to deep. The average light chemical peel costs less than $500. As Dr. Lee noted, another popular non-invasive treatment is eyelid tightening, which can be done using a range of different non-surgical methods. Eyelids can be one of the first areas of the face to show signs of aging and cosmetic procedures are frequently used to treat these signs, whether it’s removing under-eye bags, pinning back dropping lids, or tightening the skin to reduce the appearance of wrinkles and crow’s feet. The ASPS recommends two different methods for non-invasive eyelid tightening: microdermabrasion and dermal fillers. Microdermabrasion uses a small abrasion instrument to gently sand away the outer layer of the skin’s surface and can be done around the eye area with care to create a smoother, tighter and more youthful look. The average price of this treatment is $137, although this number does not necessarily cover the cost of related expenses such as additional prescription medication (if needed). Dermal fillers are another popular non-surgical option for those who want a lift in the eyelid area. Fillers can be used to smooth uneven skin, stimulate collagen production, even skin tone, reduce age spots, and create a firmer, more youthful-looking complexion and skin texture. There are several types of dermal filler and which one you choose depends on the area you are getting treated. Fillers containing hyaluronic acid, such as Juvederm® and Restylane®, or calcium hydroxylapatite, as found in Radiesse®, are particularly effective in dealing with eyelid-related issues. Both cost an average of $670, although it is possible to find practices doing it for $500 or less. It all depends on how much is used and which areas are treated. Is Non-Invasive Treatment More Cost-Effective Than Invasive Surgery? Non-invasive treatments offer “less downtime, no operation room time (so there is less risk involved), and they are less expensive per treatment,” says Dr. Lee. Expense is a key factor for many patients looking to enhance their look. Non-invasive treatments are less of a health risk, but also less of a financial risk, so even those with a lower budget can participate. But the price tag per treatment can be misleading. “Yes, they are cheaper than invasive surgery but long term, probably not,” says Dr. Lee. The issue is the longevity of these treatments, as none of them are permanent, and many patients will need to return for further treatments in the future. This can add up to thousands of dollars over time. When considering a treatment and if cost is an important factor for you, it’s worth looking at the overall expense of repeat non-invasive treatments and compare them with an invasive alternative. Be aware of both the risks and the longevity of each treatment before you hand over your money, so you know you’re getting exactly what you want from your practitioner. Sick of your lengthy beauty regimen? 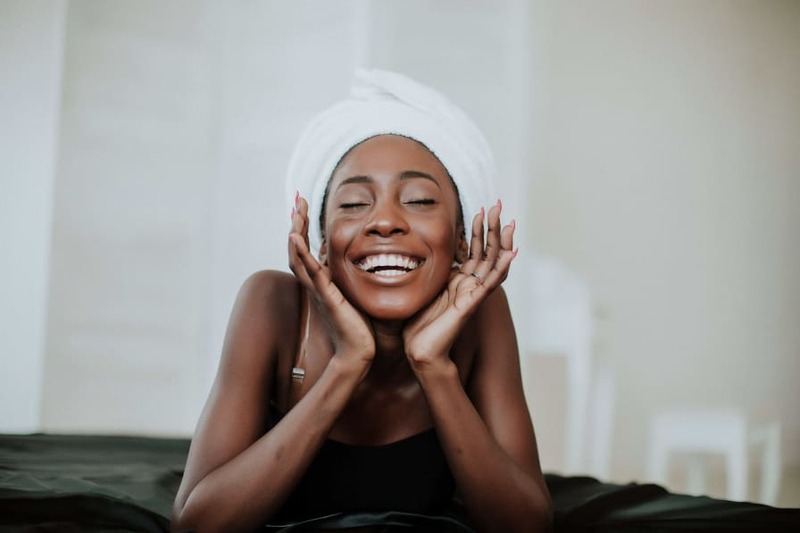 More and more women are ditching their typical routine and turning to non-invasive cosmetic treatments in efforts to limit the time they spend getting ready every morning.